Good Strategy/Bad Strategy integrates fascinating examples from business, nonprofit, and military affairs to bring its original ideas to life: From Apple to General Motors, from the two Iraq wars to Afghanistan, from a small local market to Wal-Mart, from the Getty Trust to the Los Angeles Unified School District, from Global Crossing to the 2007-08 financial crisis, and many more. The abundance of business-ready insights offered by Rumelt stem from his decades of digging beyond the superficial to address hard questions with honesty and integrity. Some good points but too busy boasting and labouring each point. The first part of the book is wonderful at making a complex concept crystal clear. The stories, examples and frameworks outlined were really great. The book falls down slightly at the end with long winded, uninteresting case studies with little conclusions. With so much rich information, it will be a shame to not have a paper copy to review at a later date. 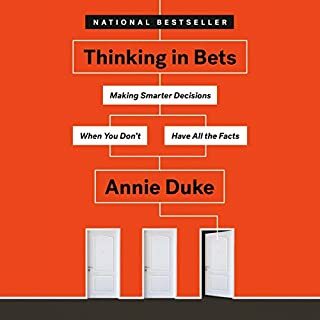 Runnette does the impossible in this book and makes a book on strategy interesting. It's amazing how stories and anecdotes can make all the difference. By highlighting some funny examples of bad strategy, good strategy becomes more and more obvious in contrast. Looking forward to future books from Runnette. A book that sounds a bit 'dorky' like this one I normally leave alone for fear of empty words. But I am very happy to have picked this one up! 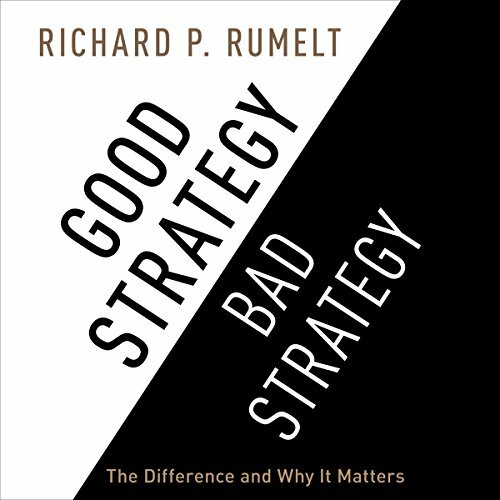 Rummelt is a very senior strategist to big and smaller firms, and have seen where they can go wrong: confusing objectives with strategy ("our strategy is to grow revenue"), strategy with excel sheets or (worst of all, and very hot right now) confusing leadership ("a will to succeed") with strategy. 3. develop and execute a coherent action plan. He goes on the enrich each of these parts, which to a certain extent have been discussed elsewhere (Porter, Ansoff, Hamel, Kaplan) but not in such a concise and easy to follow way. The strength of the book is not only in how strategies should be build and executed, but also how many companies go wrong: e.g. that your strategy needs commitment from the organization is ruthlessly attacked: if the entire organisation agrees with the strategy, there is no 'hard' choice involved. A strategy that pleases all in the end does not deliver. Though provoking and pragmatic at the same time. 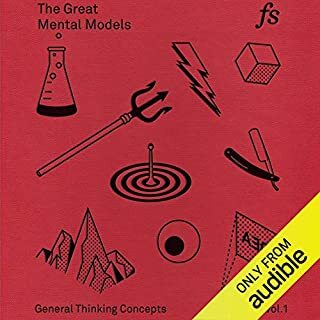 What I personally found most pleasing is that Rummelt does not say that planning is better than execution, or leadership is superior or not, but that all are parts in a chain that need to fit together. You need strategy AND execution AND leaderhip AND creativity/innovation AND ...while simultaneously focusing your energy. 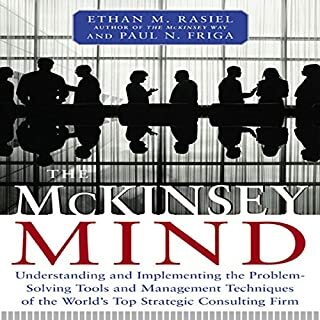 If you are in a leadership or management position in any organisation, private or public, I highly recommend this book for its framework, coherence and ease of understanding, combined with its focus on the essential elements and pitfalls. Richard Rumelt, in Good Strategy Bad Strategy,makes strategic thinking readily available all. There is a lot of clear thinking here that will enlighten readers. For example, aspiration is not strategy. JFK proposed that we go to the moon in a decade. That was technically possible. Going to Mars is technical available to us as well. However, since Kennedy’s moon shot project people have been confusing aspiration with strategy. The implication is that if we just set goals they will be attained. Rumelt sets the reader straight. Rumelt goes beyond telling readers What they should do to telling the readers HOW to do it. Rumelt strays into military strategy at times and his examples can be a little long for my taste. However, this book is still a worthwhile read. 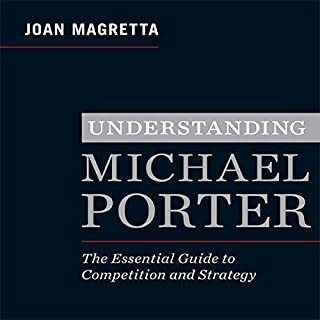 After this book interested readers may want to pickup Joan Magretta’s (2011) Understanding Michael Porter and then tackle Michael Porter’s (1998) Competitive Strategy. 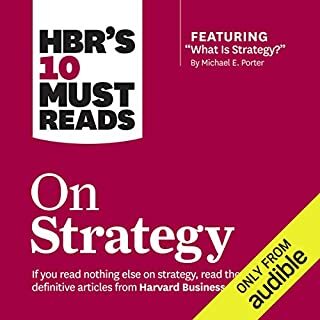 A third volume, a favorite of mine, is Henry Mintzberg’s Strategy Safari which introduces the reader to all of the basic schools of strategic planning thought. 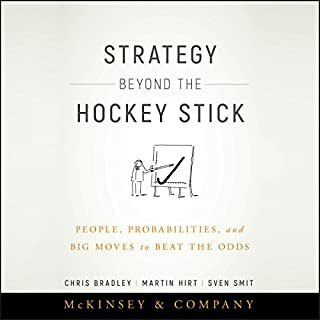 He makes the argument that there is no such thing as strategy and cognitive scientists just might agree. The reading of Sean Runnette is very good. Enjoy. It took a couple of listens to really digest it. Not a lot of fluff. 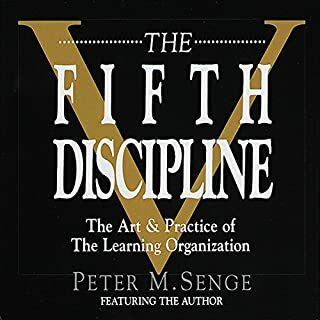 Careful though, if your organization is run by ineffective leaders, this book will open your eyes to the root causes. THAT makes working for them even harder. I'm in a better job than the one I had when I first picked this book up. Maybe there's a correlation (or maybe not). Mr. Rumelt is an extremely smart person with a world of experience in strategic situations. 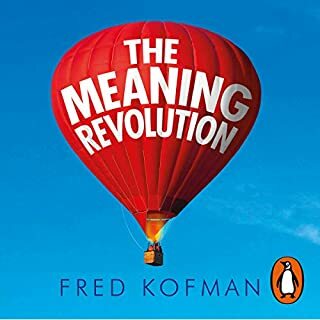 He has an almost unique, scientific-like, ability to break down complex socio-economic issues into small and meaningful subsets which can be analyzed and acted upon without ever loosing the sight of the big picture. Mr. Rumelt gives hope that scientific approach, hypothesizing, and analytical work in general still have a say in the socio-economic context. A truly great book! 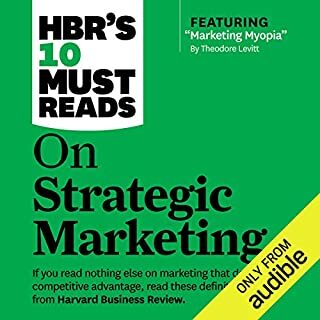 "Good Strategy / Bad Strategy" was the most interesting book on strategy I have read so far. Cuts through the leadership consult fluff speak that use template strategy that leads no where to actionable steps that drive visions to values to goals to strategy. 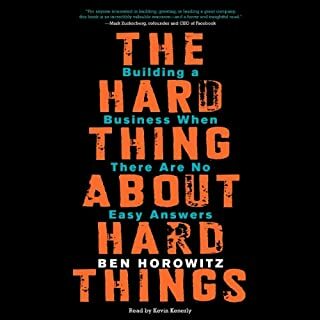 The key according to the author is to start by determining what is going on and then building strategy around that reality based on where the company wants to go. The author's discussion on company's with hundreds of supposed strategies leading to stagnation via divide and conquer was very interesting. The author backs up his concepts with real life examples from the class room, corporate world and military campaigns. 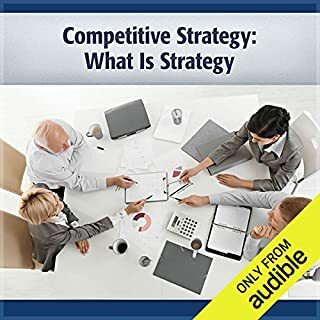 The author presents a very clear framework for understanding strategy and uses compelling examples to illustrate the elements of strategy. 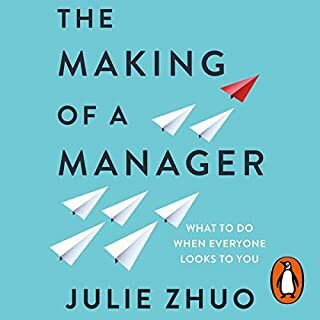 This is a superb treatment of a topic that too many businesses, and way too many consultants and academics fill with fluff and buzz-words. If you feel that "if you conceive it, and believe it, you'll achieve it" --- this book is probably your cup of tea. 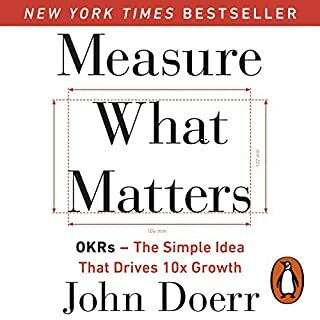 However, if you value actual performance over platitudes, and are willing to do the mental work to assure success, then invest in this book! I liked the audio version so well I will be buying the paper version to use as a reference. 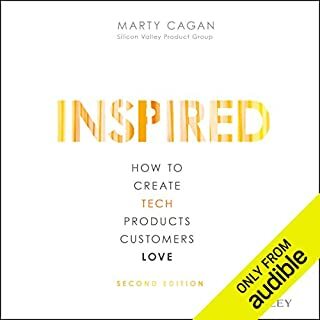 It had some really great ideas in there but too many stories - and too many focused on tech/engineering, large companies, and history for my taste. But I still learned some great tips - you just really have to focus and listen carefully because they are buried in the stories. In the top 3 books I've ever read (I read at least 1 a week & I'm no spring chicken) I've bought a print copy to scribble on. This book is truly stunning & essential for anyone trying to work out where they are going. A true epiphany. 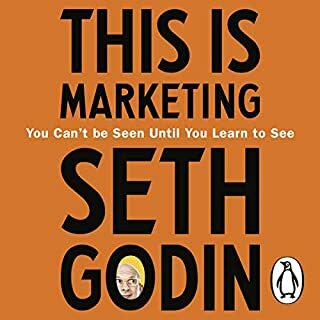 A really practical approach to strategy, however, the examples throughout the book go on way too long without adding value. A 2 minute example to prove a point would be great, but some go on for maybe 10 minutes or more. I found that I kept 'drifting off' and forgetting the point that was being made. 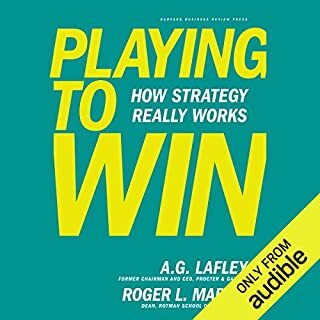 Would you consider the audio edition of Good Strategy/Bad Strategy to be better than the print version? What was one of the most memorable moments of Good Strategy/Bad Strategy? 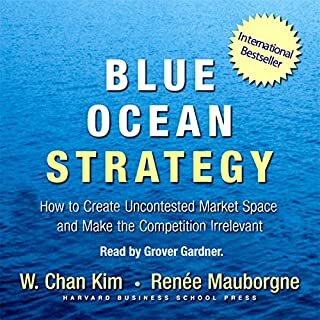 Sean is an excellent narrator and really drives through how crucial it is to understand the difference between good strategy and bad strategy. Good strategy? Bad strategy? if you don't know the difference your business could be dead already. The very word strategy has become associated with lots of talk and no action. 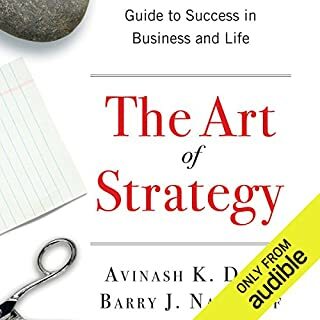 This excellent book shows you that most strategy we see is just bad strategy and that good strategy is very straight forward, but requires extreme hard work and discipline to carry out. some excellent thought provoking stories and points... I will keep coming back to this. Dragged a little towards second half. Strategy is surrounded in BS and obvious statements but Rumelt seems to be the real deal. Don't expect step-by-step rules for generating go strategies, and certainly not successful ones. But this book is a smart, powerful read for taking a more intelligent approach to reviewing and devising strategies. I was stuck on what to do next in my business but now I have a logical way to plan my next move. Really well read, easy to understand and contextualise. Over all great book and great reflective insight.